Make your iPhone XR stand out with the Tech21 Evo Luxe case. 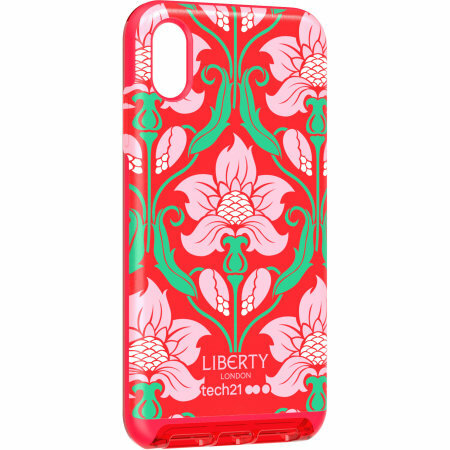 Designed by Liberty London, this case features an eye-catching Azelia red finish. Despite being ultra-thin and lightweight, the case protects your device from drops of up to 10 feet! I was a bit surprised by how bulky this was. I have not droppped the phone to test it but it appears to be durable and attractive. It has a non slip finish - not smooth and shiny. 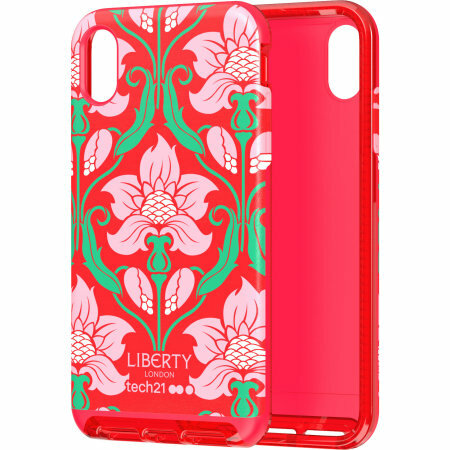 Designed by the massively influential designer clothes brand Liberty London, this case has a beautiful floral Azelia red finish that will help your iPhone XR to stand out from the rest. Tech21 Evo Luxe case features 3 distinct layers, which blend in with each other to provide an excellent protection for your brand new iPhone XR. On top of the widely-popular PC and TPU layers, the case comes reinforced with a patented 'ribbed' design, as well as a Tech 21 exclusive BulletShield material, which have all been specifically designed to absorb the impact energy of a drop, bump and knock. 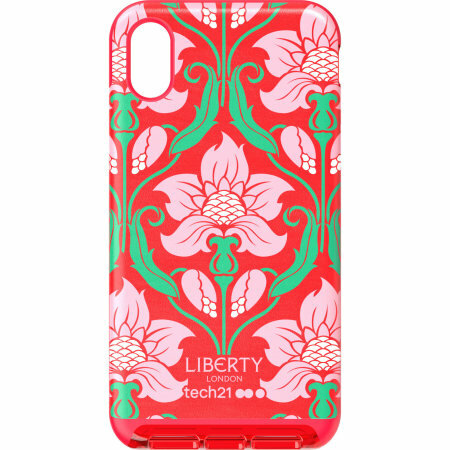 Your phone might already be protected, however, Tech21 has gone the extra mile to protect your case from damage too. A special scratch-resistant coating has been applied to the case, which allows it to stay and look immaculate at all times. If you are looking for a highly-protective case for your brand new iPhone XR, then look no further! Tech21 Evo Luxe case has been specifically designed to be able to withstand and protect your device from drops of up to 10ft, which is genuinely impressive knowing how thin and lightweight it is. The Evo Luxe case allows access to all of the ports and features of the iPhone XR. 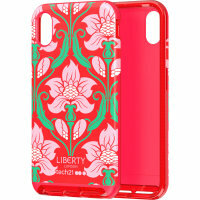 The case features open sections for the charging port, camera and raised button coverings for easy use. Due to Tech21 Evo Luxe being so thin, it enables you to flaunt the beauty of your new iPhone XR, but also keeps the case practical to suit all of your needs. This means that you can enjoy excellent network reception and unobstructed wireless charging capability, whilst the phone is in the case.